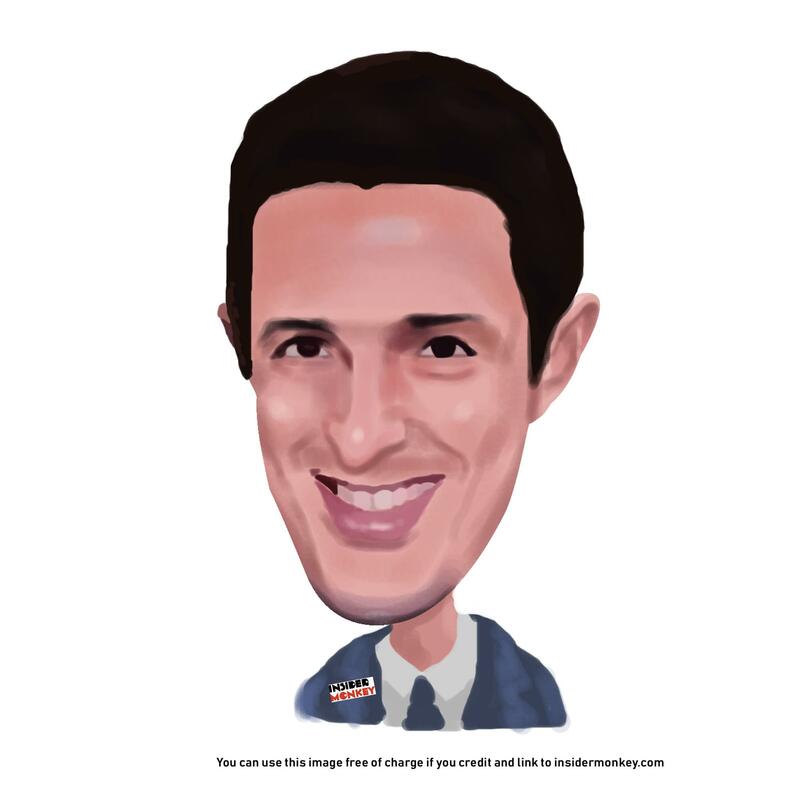 Las Vegas Sands Corp. (LVS): Are Hedge Funds Right About This Stock? Is Las Vegas Sands Corp. (NYSE:LVS) a buy, sell, or hold? The best stock pickers are becoming more confident. The number of bullish hedge fund positions increased by 6 in recent months. Our calculations also showed that LVS isn’t among the 30 most popular stocks among hedge funds. In today’s marketplace there are a large number of tools stock traders have at their disposal to grade their stock investments. A couple of the less utilized tools are hedge fund and insider trading moves. Our experts have shown that, historically, those who follow the top picks of the best money managers can outclass the market by a healthy amount (see the details here). Let’s take a gander at the fresh hedge fund action encompassing Las Vegas Sands Corp. (NYSE:LVS). At Q4’s end, a total of 44 of the hedge funds tracked by Insider Monkey were bullish on this stock, a change of 16% from the second quarter of 2018. 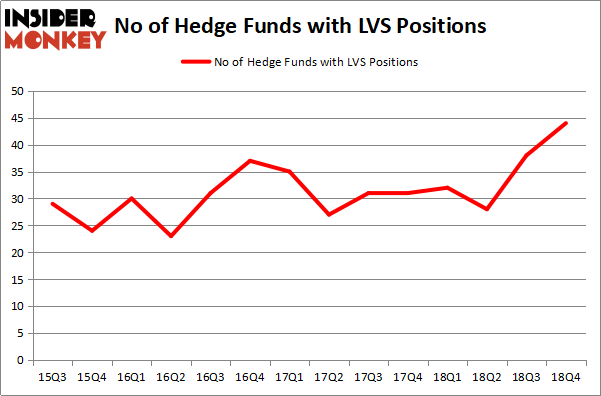 On the other hand, there were a total of 32 hedge funds with a bullish position in LVS a year ago. With the smart money’s positions undergoing their usual ebb and flow, there exists a few key hedge fund managers who were upping their stakes significantly (or already accumulated large positions). Among these funds, D E Shaw held the most valuable stake in Las Vegas Sands Corp. (NYSE:LVS), which was worth $250.5 million at the end of the third quarter. On the second spot was Melvin Capital Management which amassed $248.8 million worth of shares. Moreover, Two Sigma Advisors, Millennium Management, and Alkeon Capital Management were also bullish on Las Vegas Sands Corp. (NYSE:LVS), allocating a large percentage of their portfolios to this stock. As one would reasonably expect, some big names have jumped into Las Vegas Sands Corp. (NYSE:LVS) headfirst. Melvin Capital Management, managed by Gabriel Plotkin, created the most outsized position in Las Vegas Sands Corp. (NYSE:LVS). Melvin Capital Management had $248.8 million invested in the company at the end of the quarter. The other funds with new positions in the stock are Panayotis Takis Sparaggis’s Alkeon Capital Management, Lee Ainslie’s Maverick Capital, and Anand Parekh’s Alyeska Investment Group. Let’s now take a look at hedge fund activity in other stocks – not necessarily in the same industry as Las Vegas Sands Corp. (NYSE:LVS) but similarly valued. These stocks are Marathon Petroleum Corp (NYSE:MPC), Norfolk Southern Corp. (NYSE:NSC), ABB Ltd (NYSE:ABB), and Metlife Inc (NYSE:MET). All of these stocks’ market caps are closest to LVS’s market cap. As you can see these stocks had an average of 39 hedge funds with bullish positions and the average amount invested in these stocks was $1581 million. That figure was $1610 million in LVS’s case. Marathon Petroleum Corp (NYSE:MPC) is the most popular stock in this table. On the other hand ABB Ltd (NYSE:ABB) is the least popular one with only 13 bullish hedge fund positions. Las Vegas Sands Corp. (NYSE:LVS) is not the most popular stock in this group but hedge fund interest is still above average. Our calculations showed that top 15 most popular stocks among hedge funds returned 19.7% through March 15th and outperformed the S&P 500 ETF (SPY) by 6.6 percentage points. Hedge funds were also right about betting on LVS, though not to the same extent, as the stock returned 14.8% and outperformed the market as well. Were Hedge Funds Right About Getting Into Bank of Montreal (BMO)? Were Hedge Funds Right About Ecolab Inc. (ECL)? Is Vertex Pharmaceuticals Incorporated (VRTX) A Good Stock To Buy? Is Illinois Tool Works Inc. (ITW) A Good Stock To Buy? Were Hedge Funds Right About Selling Northrop Grumman Corporation (NOC)? Were Hedge Funds Right About Dumping FedEx Corporation (FDX)?